OK now I feel really old. Sony has announced a new 30th anniversary Blu-Ray release of Jim Henson's fantasy cult classic starring Jennifer Connelly and David Bowie as the Goblin King. The new disc will carry over the previous bonus features along with a new featurette with Connelly and Henson's family about the puppets of the film, an anniversary Q&A and a tribute to Bowie. 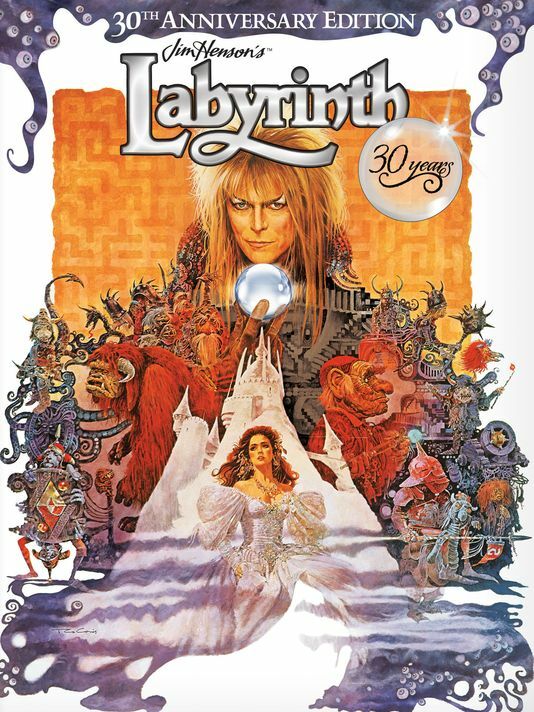 The film will also be heading back to theaters this September courtesy of Fathom Events so head over to http://www.usatoday.com/story/life/movies/2016/04/25/labyrinth-30th-anniversary-release-exclusive/83486674/ for more news. 'Rogue One: A Star Wars Story' Trailer Online!